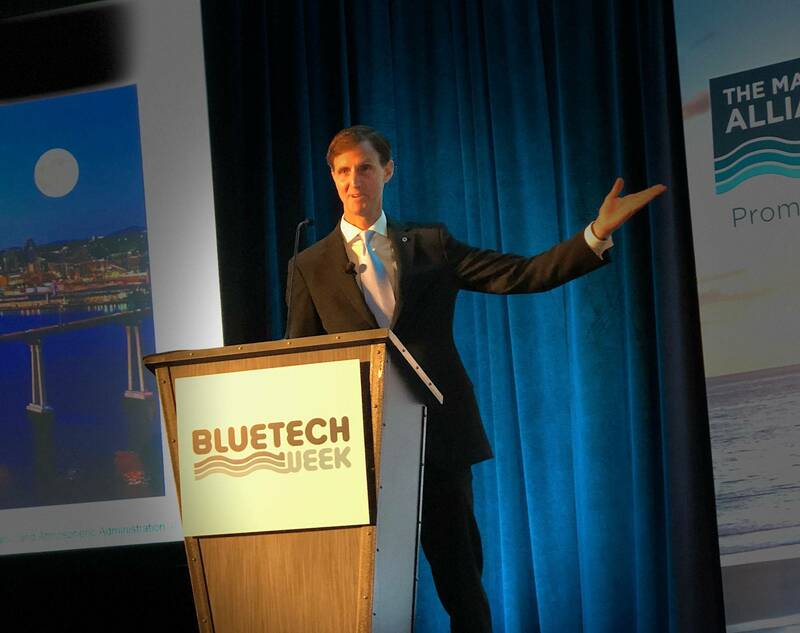 Speech at Blue Tech Week in San Diego, addressing a packed house which included industry, academia and government. Gallaudet delivered a comprehensive look inside his agencies priorities for the coming year, saying that, among other priorities, "seafood competitiveness" is a top priority, as the U.S. imports 90% of the seafood it consumes and runs a $16 billion seafood trade deficit. On the technology side, Gallaudet said that NOAA is "exponentially increasing its use of drone technology moving forward," with each ship carrying "fleets of drones" to help exponentially increase coverage of the oceans. Gallaudet also discussed the value of public/private partnerships, noting that NOAA recently partnered with Google to help it whittle down the mountains of data NOAA possesses.